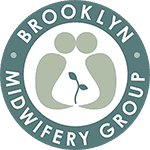 Brooklyn Birthing Center in The New York Times! We are proud to report that Brooklyn Birthing Center is heavily featured in today’s The New York Times article, “Why New York Lags So Far Behind on Natural Childbirth.” This article explores the unique barriers faced by New York City families seeking a low-intervention birth experience. According to Doctor Laura Zeidenstein, director of the graduate midwifery program at Columbia School of Nursing, “Midwifery is very hands-on and time-intensive. Midwives utilize technology judiciously. The cost is human time and that just can’t be billed for.” Medical interventions such as anesthesia, on the other hand, are well-compensated by insurance payers. Many birthing centers have folded due to economic pressures or bureaucratic red tape. Despite these challenges, New York City parents-to-be continue to demand access to skilled midwifery care. 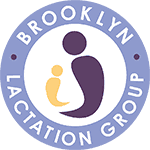 As today’s New York Times article points out, Brooklyn Birthing Center addresses this demand as the only accredited freestanding birthing facility in metropolitan New York.